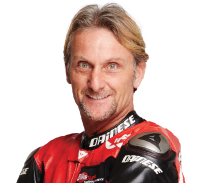 Bikesure, the specialist motorcycle insurance division of Adrian Flux, offer customers Laid Up Motorcycle Insurance covering bikes and scooters while they are in a garage, shed and off the road. Our Laid Up Bike Insurance covers you for fire and theft while your Bike or Scooter isn't being used as part of your day to day life. If your collection of Classic Motorbikes are in a garage waiting for their next adventure, have peace of mind that if something was to happen to them they would be protected. 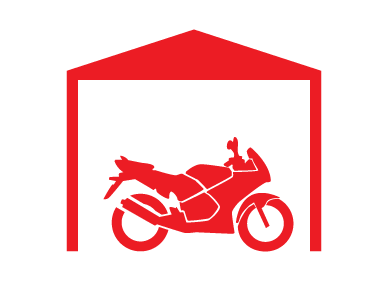 Perhaps you simply only use your bike during the dry months keeping it in a garage or shed when it is off the road but you want to know that while it is there, it will still be covered and protected if it was to get stolen or catch fire, then our Laid Up Motorcycle Insurance is perfect for you. If you require further cover for your bike and it's a classic bike. We have the option of not just covering your bike for fire and theft but accidental damage too whilst being stored in your garage at home. At Bikesure we pride ourselves in being the Motorcycle specialists who understand that not everyone with a bike wants to use it daily or for commutes, which is why we offer Laid Up Insurance to any customer with any type of bike or collection of bikes. You don't have to have a licence to be able to ride your bike as long as it is stored in a safe and secure place and not used on the road, you are covered for fire and theft. This is why so many people choose us, as many of our competitors who offer Laid Up Insurance require you to hold a bike licence, which is no good if you haven't reached the age to be able to ride the bike or it was passed down to you. Laid up Bike Insurance doesn't provide you the cover you require to legally be on the road as you will not be covered for third party liability, which is the protection you need if you hit someone and damage their vehicle or we do however offer full insurance for Classic Bikes, Mopeds, Young Riders and many more. Make sure your bike or scooter is fully protected with Bikesure's Laid Up Motorcycle Insurance. Just call 0800 369 8580 to speak to a member of our friendly staff. The best laid up insurance deals are available if you speak to us on the phone. We can take you individual circumstances into account to bring your price down substantially, because our staff can look at things in a less rigid way than a computer and are specialists in insuring laid up bikes. UK based call-centres with highly trained staff mean we can answer any questions you might have and advise you on the features available from your policy. I really didn't fancy having a collection of bikes worth £87,000 in my garage! Once I had finished restoring my 3 classic bikes, I needed to get them insured because of the time and money I had spent returning them to their former glory. A lot of companies wanted excessive security such as a ground anchor, but with Bikesure as long as I had it locked in my garage with my Sold Secure Lock, they had no problems insuring me. Tim is a 32 year old carpenter from Lincolnshire. He lives in PE12 and has managed to save up and buy a brand new 2013 KTM 450 EXC Six Days. He has paid £7,949 of his hard earned cash and wants to make sure the bike is covered but he was struggling to find a company that would cover the a bike worth more than £5,000. He keeps it under lock and key in his brick garage at home when he isn't out enjoying himself. Tim only pays £240.65 for Laid Up Cover. David is a 46 year old mechanic from Cambridgeshire. He lives in PE14 and has just purchased a 1966 Triumph T100SS for £4,000. He wont be riding the bike on the road for a while due to the weather being poor so he just wants to have Fire and Theft cover. He keeps it locked up in his brick garage at home. David wanted to pay as little as possible, and didn't want to have a ground anchor in his garage. David only pays £72.40 for laid up cover, with a £100 excess.